Entering The French Market: What Should You Know? French, the language of love and diplomacy, is one of the most important global languages. It comes as no surprise that it is also one of the most important online languages. What should you know about the country, the language, and other specifics, before you decide to localize your content for the French market? Today we will be looking at some interesting figures which should help you decide on the best approach to your localization project, and whether you actually want to make this move. France is one of the biggest e-commerce markets in the world, being ranked as the sixth. In Europe, only Germany and the United Kingdom are bigger. There are 76,7 million native speakers of French, and 208,1 million people speak it as a second language. There are 118,7 million internet users worldwide. France itself has a population of around 65 million people, and 68% are internet users. According to Médiamétrie, the French absolutely love to shop online. In the 3rd quarter of 2018, 37,7 million internet users have made online purchases, which is 87.6% of them. That is 861,000 more online shoppers than a year ago. Almost 9 out of 10 internet users make purchases on the internet and almost all of them (98%) claim to be satisfied with their experience. According to FEVAD (French Federation of e-commerce and distance selling), internet shopping has become a habit for the French. 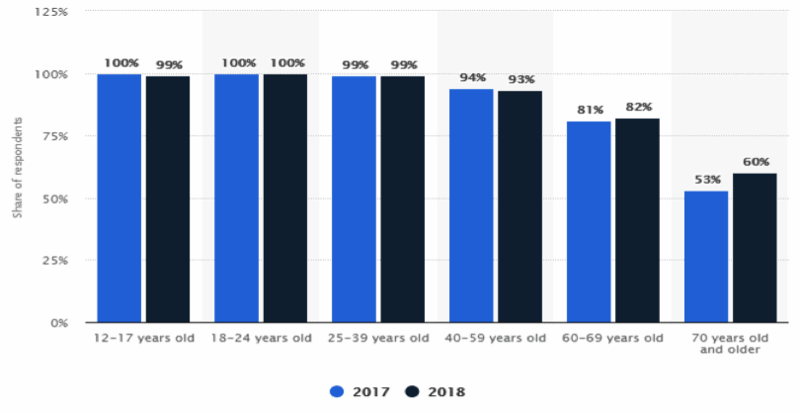 What is interesting is that the proportion of people aged 65 and older who shop online is increasing almost as quickly as amongst 18-24-year-olds. It is now even the case that more than eight out of 10 retired people are online shoppers, which proves that online shopping crosses the generations. 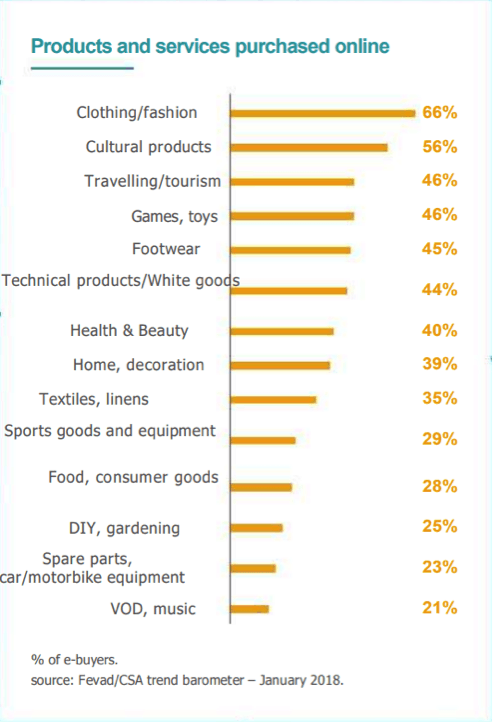 French online users do a lot of research on the products they are buying. They mostly research product features and compare the price of the product on various sites. 75% of online users also check reviews for the product they are buying, so make sure that you take this into account. 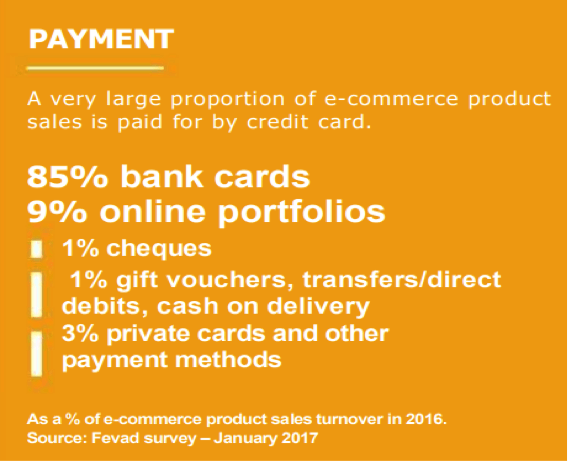 According to Fevad, e-commerce sales are on the rise, and it is estimated that it will be worth 100 billion EUR in 2019, as the average yearly increase in the past couple of years is around 10 billion. #5. What do the French buy online? We are not surprised that the French, known for their style and fashion taste, mainly buy clothes online! According to Fevad, this is followed by cultural products, games, and footwear. Another important market is tourism, as French online users obviously spend a lot of money on their vacations. According to Statista, users of all ages use the internet in France. Between the ages of 12 and 39, internet usage is almost 100%! What is also worth mentioning again is the fact that 60% of people 70 years and older use the internet. Around 85% of all online buyers use credit cards for payment, which is an increase to 2014 when this number was 57%. PayPal is another popular method of payment, so you might want to implement these options on your e-commerce for the French market. The majority of online buyers prefer home delivery for B2C payments, with home/workplace delivery being the most popular choices of online buyers. Delivery to a secure locker also increased by 7%, compared to the previous year. The demographic data shows that the majority of online buyers are 35-49 years old. As is to be expected, 11-15-year-olds spend the least, with older demographic categories, users older than 50 years, accounting for 40% of e-shoppers. Facebook and YouTube share first place, according to the e-Commerce Foundation. Instagram and Twitter are also very popular, so you have several marketing channels to consider in the French market. Which ones you will choose largely depends on your product. We know that the majority of our blog discusses the subjects strictly connected to online retail, but if you are not selling products to consumers, but B2B, don’t worry. The B2B market is also on the rise, with 85 billion USD spent by companies with more than 10 people, and 15 billion USD spent by companies with less than 10 people. Both EDI and websites are a popular choice for B2B sales. The market itself is constantly on the rise, so having your website localized into French will enable you to compete and sell your products and services in France. Without that, you will definitely have a hard time. 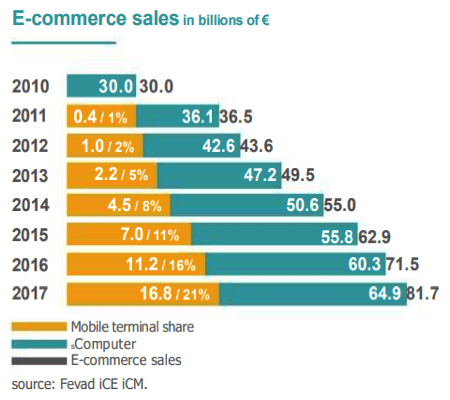 As you can see, the online French market is almost completely dominated by e-commerce, expected to grow by another 10 billion EUR this year! This means that when you enter the French market with your content properly localized into French, you can gain access to dozens of millions of online buyers, which will result in increased profits. 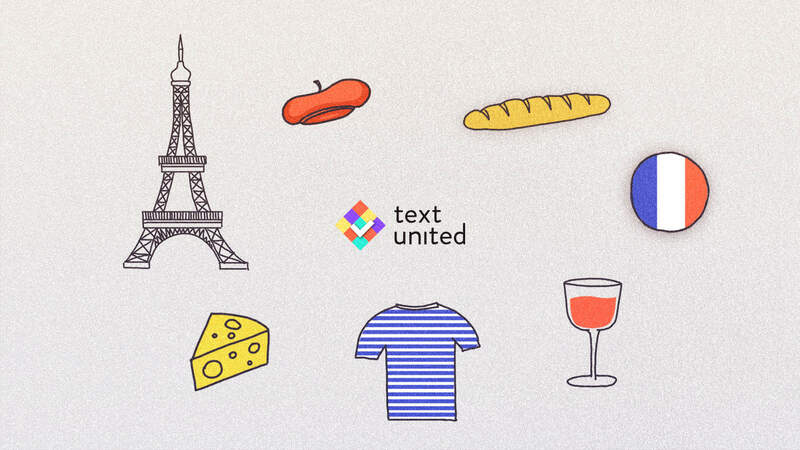 Localizing your e-commerce into French may seem like a challenge, but with you can make this step with the help of experienced people. Feel free to contact us, and we will gladly make these steps together with you!